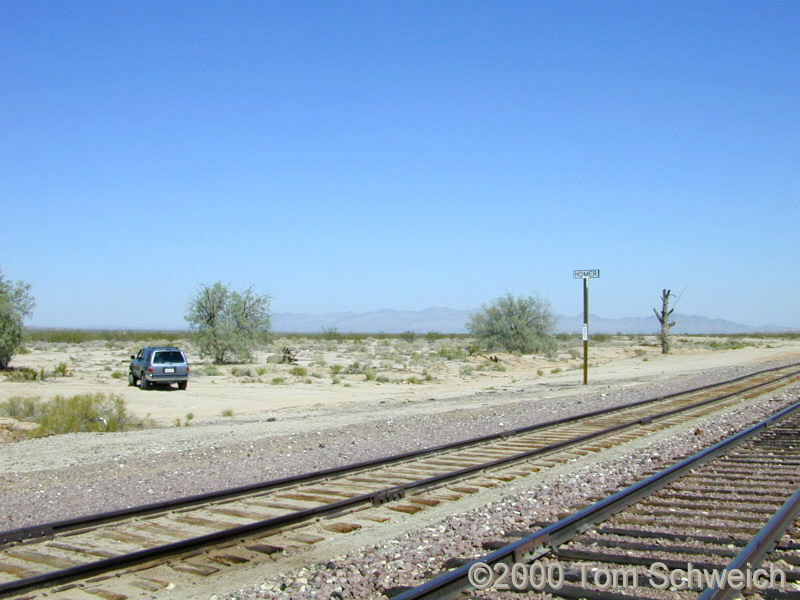 Photo: The current station on Homer on the Burlington Northern Santa Fe railroad. Eastern Mojave Vegetation The current station on Homer on the Burlington Northern Santa Fe railroad. Goffs Road - Mojave National Preserve: Homer. Field Notes: Homer, September 22, 2000. Other photos about Geography - Eastern Mojave or Homer.